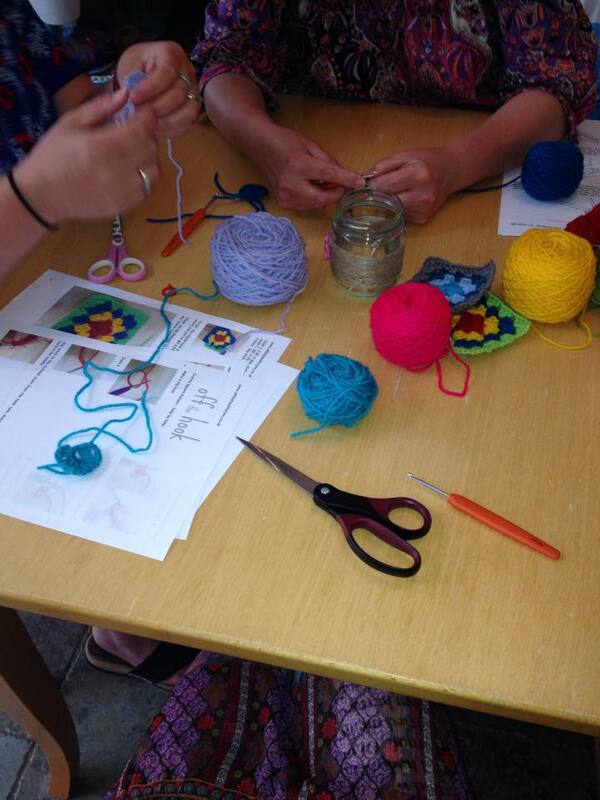 So a few days ago I held my first workshop teaching 2 lovely ladies how to crochet. These were officially named my guinea pigs! So they were asked to come to my freshly tidied and hoovered house at 9.30am. Told to bring themselves and that was all that was needed. 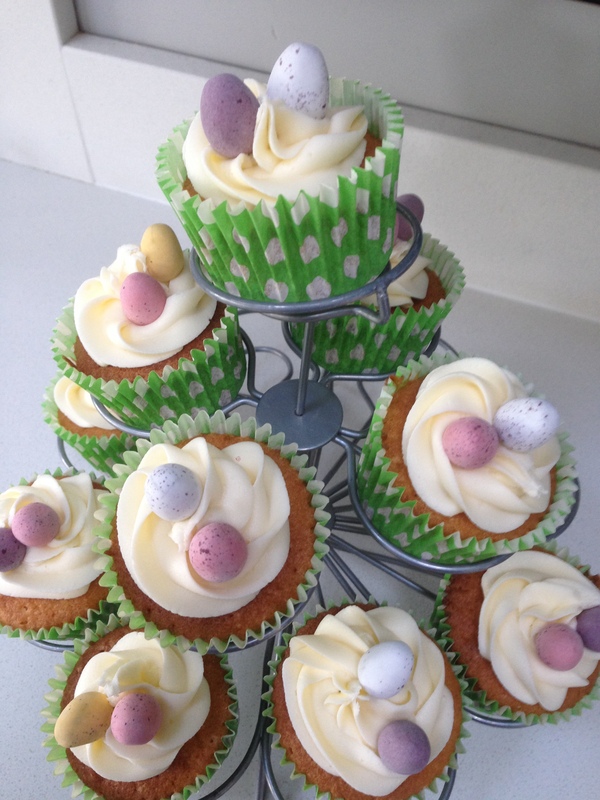 I’d made cakes the day before – delightful little cupcakes. All planned as my cupcake holder will fit 13 and I knew the pink and blue one would want a cake – leaving exactly the right number……….. what I didn’t plan for was that my husband would help himself too! Spot the carefully placed cake stand hopefully not highlighting the space at the back? So now with 12 cakes on the stand – hey – might as well let the kids have another one each now! Hooks at the ready. Cups of tea made, the lesson commenced. 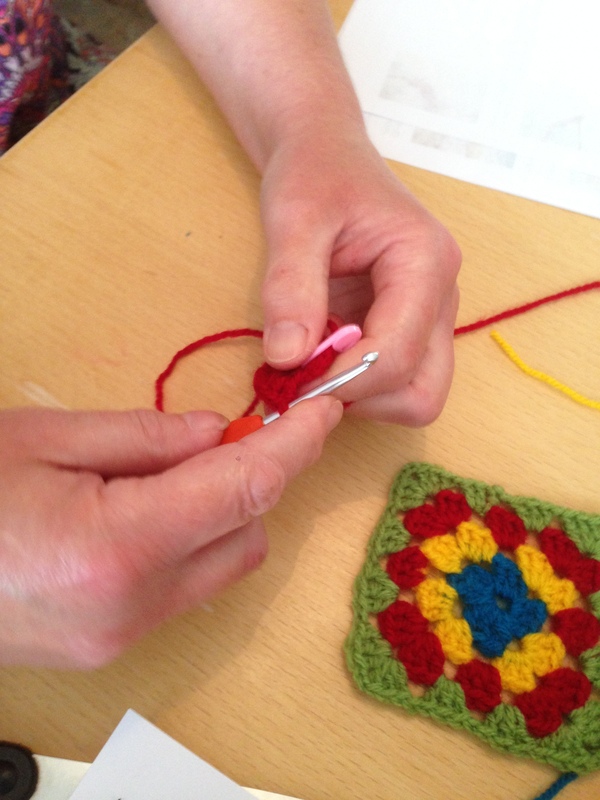 Objective – to teach “how to make a granny square” in 2 hours! This is where I have a small confession. See the grey and blue square on the right? 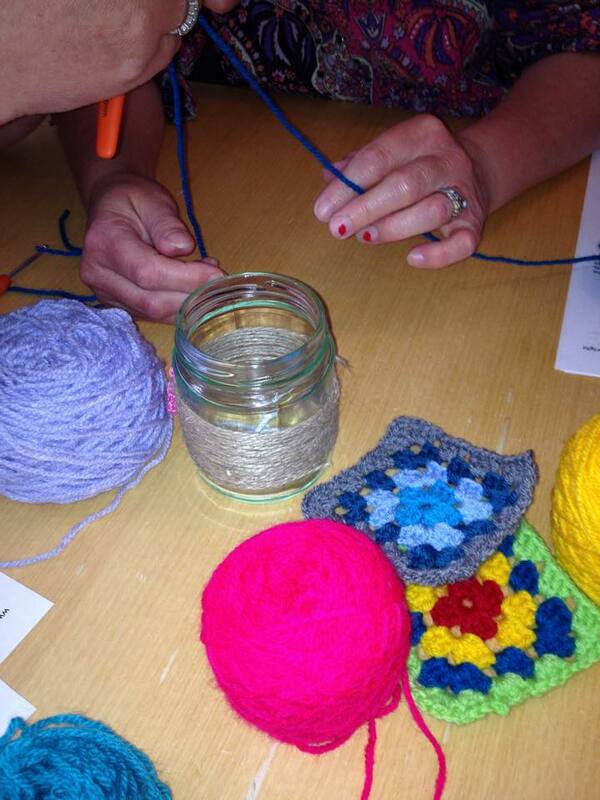 Yep – that’s my first ever granny square – made a couple of weeks ago when I asked the ladies to come round! 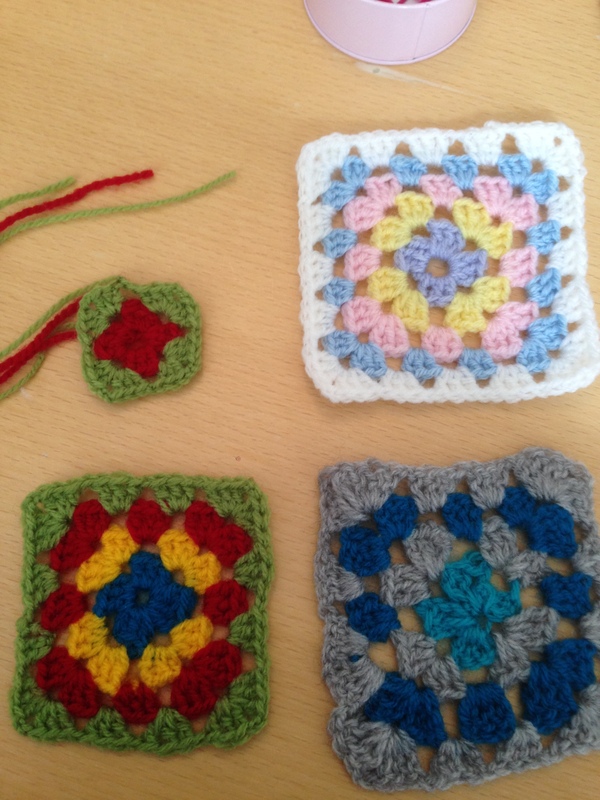 I’ve never really been into granny squares as crocheted item! 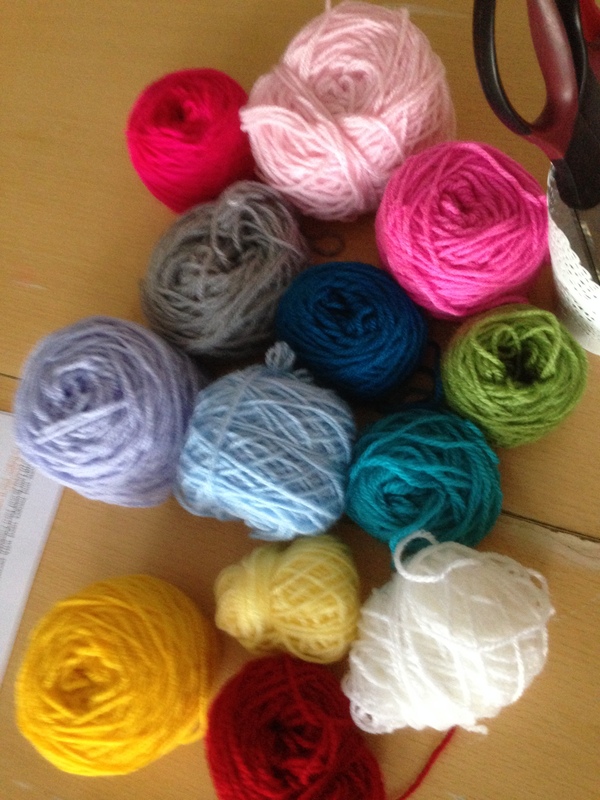 Out of the huge array of colours to choose from – they both chose similar ones to the 2 examples I’d made! 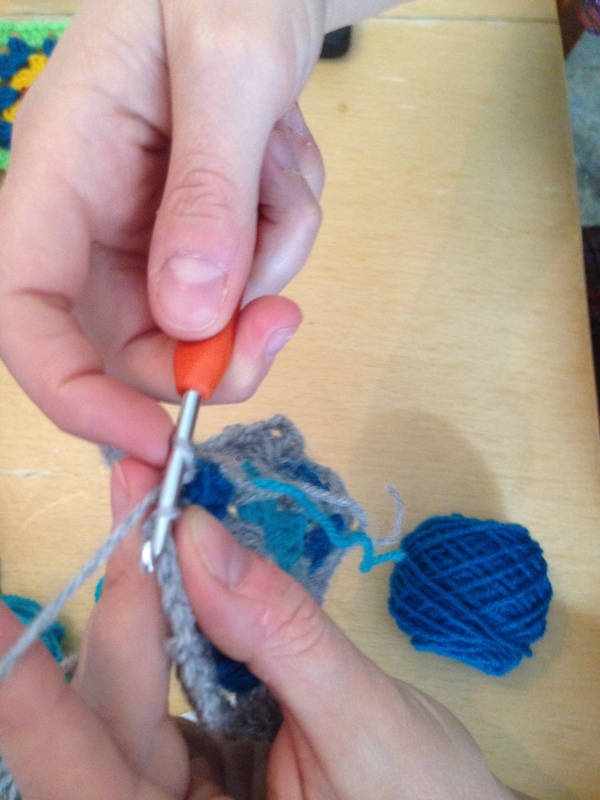 Here’s a couple of photos of them crocheting! Do you want to see what they made? I asked for honest feedback……. 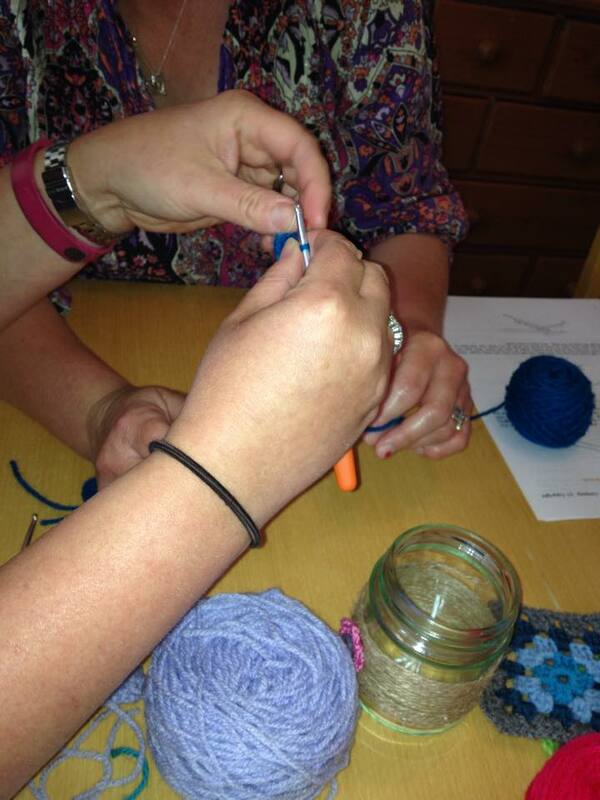 I have to say I’m very happy that I’ve now put 2 more ladies on the crochet highway! If you’d like to learn and are local to me, please get in touch! I love the way you set it all up. 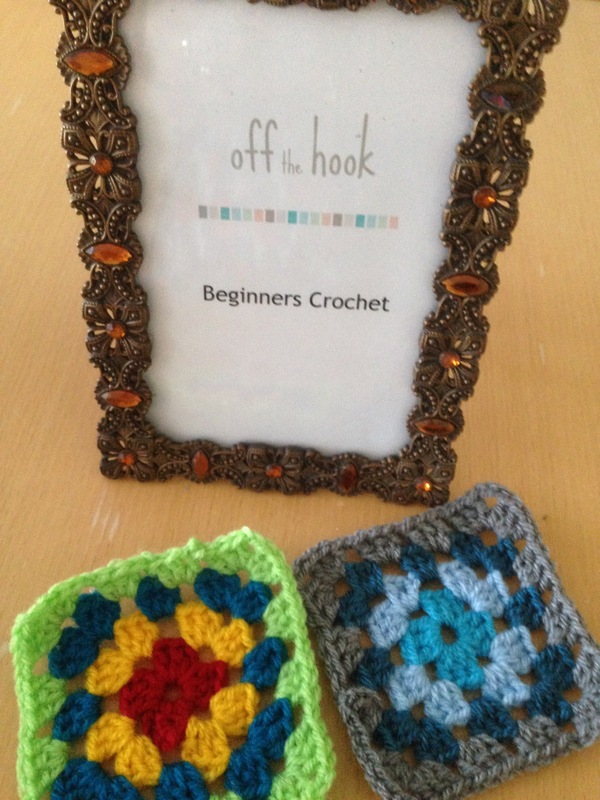 The little frame ‘Beginners Crochet’ and everything! They would have had a marvelous time!